Take a swathe of perennials, a few arches of trees ablaze in copper and orange tones and throw in a few perfectly placed park benches and you have yourself a happy place. After a stroll through the Blue Mountains Botanic Garden Mt Tomah, you can gaze across the valley, which has pockets of vivid copper and red foliage. 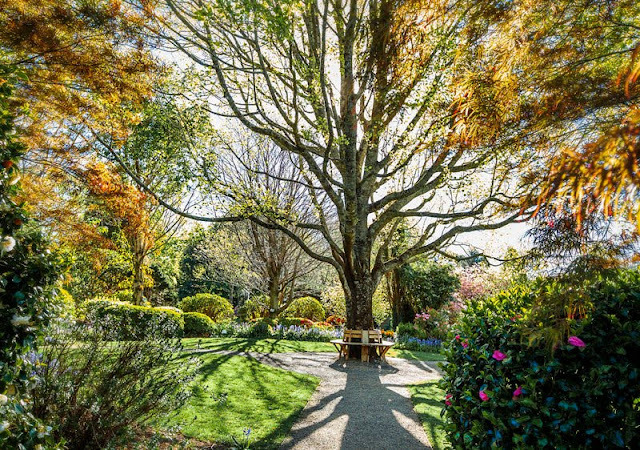 The hatted Tomah Gardens Restaurant is a great place to enjoy a kaleidoscope of autumn colours and enjoy all the region has to offer. Time your visit to coincide with the annual Leura Harvest festival. Click here for some Insta inspo. 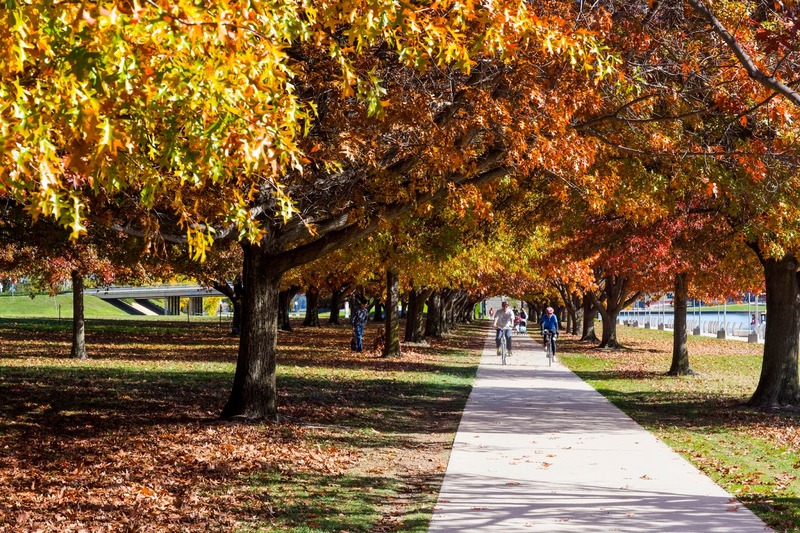 Fall's gold: Canberra turns on a riot of red, gold and yellow during autumn. Autumn in Canberra is every bit as stunning as it looks. The beauty of doing some leaf-spotting in the national capital is that it's so easy to get amongst it. The bike lanes in Canberra are one of the best things about the city and the vast parks, nature strips and tree-lined streets make it one of the best locations to peep at #leafporn. Book in to a Mushrooms and Minibeasts Family Walk at Canberra's Arboretum in the April school holidays, which includes a hike through the Himalayan cedar forest. See Visit Canberra for inspiration. The woodlands of Centennial Park in the heart of Sydney, NSW, can be easily covered on foot, skates or pushbike. Picking one must-see spot is a challenge but circumnavigate the park and you are sure to satisfy your urge for some seasonal leaf spotting. Strolling around this park is such a peaceful way to celebrate the season and bid farewell to summer. Make the most of the great outdoors in the milder weather and book in an outdoor movie at Moonlight. BYO blanket.